Rangolis are part of every Indian household. 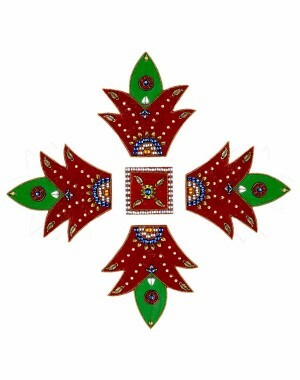 This readymade rangoli is made out of wood and consists of four pieces along with a center piece. Shaped in the form of a kumbh, this rangoli can be used Pooja rooms or in the altar as well. It can be arranged in different patterns to form different designs.